We chatted with Nate and Sarah Jane from The Proprietor, a cracking establishment in Albury, New South Wales, that serves up unique and wholesome food with style and heart. If you’re visiting that neck of the woods, they’re a must stop. Tell us about The Proprietor. 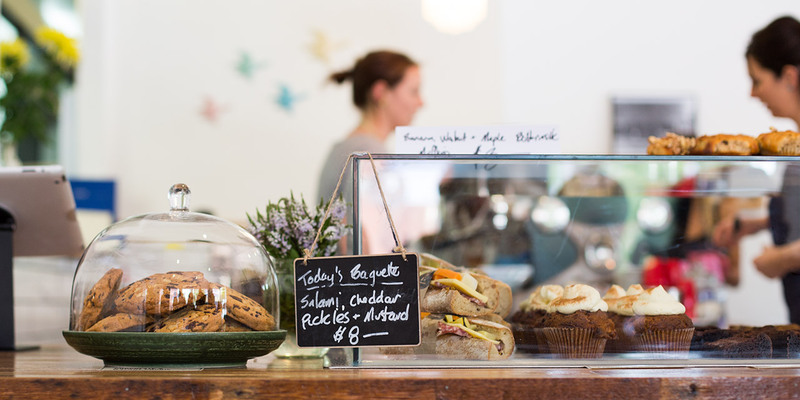 The Proprietor is a small food and coffee business with a penchant for food produced in our area. We offer one menu all day with a variety of dishes that can be eaten as breakfast, brunch or lunch. Our shop is one of the older buildings of Albury, with its original foundations being laid pre 1890. It started its life as a saddler and was later converted to a butchers shop. It has a large cellar underneath that was used to store meat before the days of refrigeration. The shop has undergone many facelifts during its life but the renovations we have completed mark one of the biggest changes it has seen. We have endeavoured to fit out the shop using as many recycled materials and equipment as possible, while not forgetting function, style and ambiance. We have also made most of the furniture and fittings by hand. What are some highlights from your menu? Our menu changes frequently (usually at least once a month) as produce levels and availability changes. Also seasonal weather dictates what’s on offer, so there have been a few highlights over the past months. We did a dish with local pork belly, pickled raw and fresh cauliflower, dad’s radish and flowers; another memorable one was a fried ice cream sandwich using Gundowring ice cream; we’ve done fresh Table Top figs with a honey, peanut and sesame muesli – it’s really good; and anything with Barham avocados is a highlight! At the moment we’re doing a dish with fresh tomato, smoked local ricotta, pardon peppers and soft prosciutto – so delicious! You grow your own produce but also buy from locals. What are some treasures you’ve sourced? Most of the produce that comes to us is a treasure so this list could be very long! Cherries before Christmas from Beechworth were excellent; as mentioned, Barham’s Reed avocados are a treat to use; full blood wagyu from Sher Wagyu is expensive but incredible! But the best discovery has to be haloumi from Riverina Cheese – it’s the real deal. You’re serving our Houjicha as an iced tea – tell us more? We do a 12-hour cold brew and serve it with muddled strawberries and mint. On a hot day it’s a real treat! What are your favourite things to do in Albury? In summer months we spend plenty of time by the Murray River. One of our favourite things to do is explore the places around Albury. We are in close proximity to great places like Bright, Beechworth, Rutherglen, Wagga, Mount Beauty, Yackandandah and the Alpine High plains. 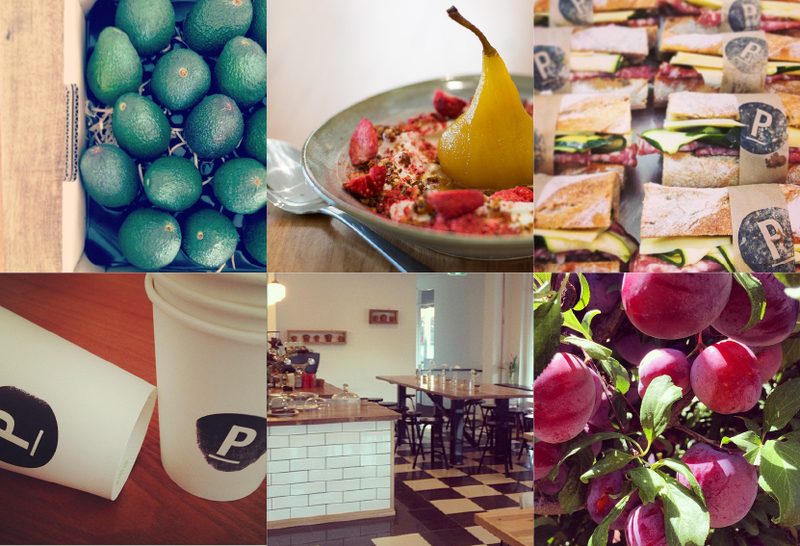 There are so many amazing producers and restaurants around Albury, we love to get out and visit them. Good simple food and great service nourishes us. Who has inspired your work? We have been lucky to work with some incredible operators both locally, interstate and overseas, many of whom we still keep in touch with. Marinus Jensen of Padre Coffee in East Brunswick has been and still is a terrific role model. Nathan Toleman of Three Bags Full and Top Paddock still remains a source of inspiration and motivation. He’s often on the receiving end of random (business and non-business) questions! Nic Poeleart of ex Embrasse now Brooks dining has inspired Nate’s cooking, probably more than he knew at the time. Green grass, a dog, a beer, wine or gin and delicious small goods.